We start out with the aim of making the important measurable and end up making only the measurable important. ‘Rapid and sustained progress’ is Ofsted’s key indictor for success. Schools across the land chase this chimera like demented puppies chasing their own tails. But just when when you think you’ve gripped it firmly between your slavering jaws, the damn thing changes and slips away. You see, the more I look into it, the more I’m convinced that progress cannot be both rapid and sustained. You cannot eat your cake and have it: we either focus on the long term goal of learning, or give in to the short term pressures of performance. This last week has been a watershed. Over the past year or so I have become increasingly certain that making progress in lessons is a nonsense and any attempt to get students to demonstrate their progress is a meaningless pantomime that benefits no one. The past few days have seen any remaining doubts shattered. The arguments laid out here should be adequate to convince even the most entrenched and wrongheaded champions of ‘progress in lessons’. But there’s a further problem. 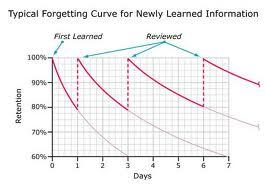 Basically, slowing down the speed at which students learn increases long term retention and transfer of knowledge. We know from the Hare and the Tortoise that travelling faster is not always better. And as in folklore, so in education; in our attempts to cover the curriculum we can sacrifice students’ learning. We’re all under increasing pressure to teach to the test and the idea of not cramming in the content is, frankly, a bit unnerving. We’re caught between a rock and a hard place: slow down and risk lack of coverage, or speed up and sacrifice depth of learning. Relying on direct instruction would seem more efficient and predictable than messing around with enquiry and discovery learning and, unsurprisingly perhaps, this is borne out by research. In our efforts to make sure we cover the course engaging students in time-consuming, cognitively demanding activities that nurture deep understanding appears an unaffordable luxury. In GCSE English courses, reading and analysing an entire book has become a relic of a half forgotten and happier past. Breadth trumps depth. And the more pressure you’re under, the more you’re likely to skip. The idea of pacing, asks us to plan our programmes of study so that learning is chunked and topics are arranged coherently, with a clear sense of how long different elements will take to teach. Obviously, we also need to allow for some unpredictability depending on the particular mix of kids in front of us: as teachers we need to keep our expectations high but keep a weather eye on areas in which our students struggle. In this way we can arrive at the most efficient way of rigorously covering our content while still allowing time for the experimentation and inquiry which which is so vital for long term retention. This is something Maurice Holt and the Slow Education gang have been bandying about for some time but I was fascinated to discover the work of cognitive psychologist, Robert Bjork which seems to bang the same drum. Bjork describes conditions which slow the pace of learning but increase long term performance as ‘desirable difficulties’. Now in a world in which ‘rapid and sustained progress’ is sought we might have a problem: rapid progress may well be the enemy of sustained progress. And as such, techniques which favour sustaining progress at the expense of the speed at which this progress might well go unappreciated by a pitiless inspection regime. Variation – As we’re all aware, variety is the spice of life; a steady diet of the same-old same-old, no matter how delicious, is enough to put off anyone. So it should come as no surprise that using the same lesson structures will, eventually start to pall. The research on variation in lesson design looks specifically at mixing up deep and surface learning strategies rather than trying to cram in as much deep learning as students can stomach. This may at first seem counter intuitive; surely we’re better off prompting students to make profound connections between the things they know and challenging them to make increasing abstract generalisations and hypothesises? No, apparently not. The theory suggests that getting students to remember facts and expand their knowledge base is just as important as getting them to creatively manipulate all the stuff they’re digesting. The point is that if we are more interested in long term retention and processing we need to provide students with a balanced diet of deep and superficial knowledge. This may be less exciting in the short term, and certainly, messing about with hexagons can look really impressive to an observer in a way that learning facts doesn’t but we need to keep our eyes on the prize and remember that being able to perform spectacularly in a lesson is not the same as being able to perform well independently in an exam. Spacing – The concept of designing your schemes of learning so that new concepts and important information is regularly revisited is nothing new. I first came across it several years ago and, ironically, promptly forget about it. I was reminded of it when reading Nuthall’s essential The Hidden Lives of Learners and stumbled across his insight that new information has be encountered on at least three different occasions in order to be retained. Bjork contends that spacing “is one of the most robust results in all of cognitive psychology and has been shown to be effective over a large range of stimuli and retention intervals from nonsense syllables to foreign language learning across many months.” And if we increase the spacing between reminding students about new information this “enhances learning because it decreases accessibility of the to-be-learned information” Or, in other words, the harder you work at having to call something, the more likely you are to remember it in the future. So, we need to design our curriculum to cover and recover information. There are various competing theories on the optimum spacing of learning but as long as we work out in advance when and how we’re going to revisit what we want students to retain we should be OK. One piece of home spun common sense is that we should ‘input less, output more’. What this means is that having encountered some facts we will learn far more if we try in some way to recreate this knowledge rather than just reviewing what we’ve learned. Writing this post is far better for my retention of all this cognitive psychology than simply reading it over and over. Although this is something every teacher knows instinctively, it’s nice to have some of our biases confirmed by the boffins. Interleaving vs blocking – If we accept that spacing works, then interleaving is a great way to design your scheme of learning. If we’re just hanging around for a few days waiting for the optimum time to have elapsed before reteaching what will we fill the intervening lessons with? Happily, interleaving provides the answer. Traditionally we ‘block’ learning. This means that students exhaustively focus on one particular concept or type of problem until they are considered to have mastered it and then they move on to another, related topic and so until they have studied all the components of a course in discrete blocks. Interleaving, on the other hand, involves doing a bit of everything at the same time so that students might tackle several concepts or try to solves several different kinds of problems at once. Here’s the kicker: when students’ learning is ‘blocked’ they perform much better during lessons – it looks like their learning. But when they’ve finished studying all their blocks of knowledge and are tested at the end of a course, their score decrease fairly dramatically. When teaching interleaves knowledge students perform worse during lessons but their retention at the end of a couse appears to be dramatically better. The observant among you will have highlighted a couple of problems: if we observe lessons looking for evidence of progress, we will encourage teachers to block learning so that students perform better at the time of the observation. But is a system which (increasingly) relies on terminal exams, teachers who interleave learning (an their students) should come out on top. If the research is accurate, this really is a no-brainer. Feedback– Apparently, delaying and reducing feedback promotes learning. But this can’t be right, can it? Surely feedback is the most effective thing a teacher can be doing? Well, yes it is, but sometimes less is more. Feedback (in most learning situations) tends to be more effective if it is delayed. It works the same way as spaced repetitions. In general, the longer the delay the better, up to a point where the delay can reduce learning. 1. Frequent feedback makes students too dependent on external validation and prevents students from developing an ability to rely on their own judgement. 2. Feedback works by “facilitating next-response planning and retrieval. In this sense, frequent feedback might provide too much facilitation in the planning of the subsequent response, thereby reducing the participant’s need to perform memory retrieval operations thought to be critical for learning”. I’d advise taking all this with a large pinch of common sense but it’s worth considering whether the way we give feedback might be preventing students from becoming sufficiently resilient and independent. So, instead of setting up activities which test students’ current performance to use as evidence of progress and then acting on this to plan future lessons in the belief that we know what our students have learned we should instead listen to cognitive psychologists about how the brain works and how learning happens and design curricula and lesson accordingly. Let’s focus on learning rather then performance, and let’s focus on progress which is sustained rather than that which is rapid. What’s deep learning and how do you do it? It is about time someone sought to correct the wild assumption by Ofsted inspectors that they could actually measure, and expect to measure, progress in learning during a lesson. It may happen, but it is ultra simplistic, born out of the almost lazy need to quantify teaching – a subject that is much more qualitative than quantitative. Thanks for writing in such depth. To be fair, I don’t think the pressure for progress in lessons is coming from Ofsted. Certainly not from the top. It’s more the way the SLTs and individual inspectors interpret the guidance. However, I do think Ofsted should reconsider (or at least explain) the idea that progress can be simultaneously rapid and sustained. Really useful article. There are links with the notion of the spiral curriculum, which seems to be under threat with the new NC, not much room for overlearning, especially in Key Stage 1and 2. The notion of observing learning is problematic in a lesson. We can see on or off task behaviour and intervene appropriately, engage with learners and get them to articulate their thinking, make ongoing judgements against our earlier expectations. I’ve developed this a little more in http://www.inclusionmark.co.uk/index.php/learningteaching/learning-and-teaching-policies/expectation, might be of interest. Good posts, as always, but it seems to me that you’re constructing some false oppositions. Firstly, surely learning is progress and progress is learning. If a group of students walk into my class without knowing anything about similes and walk out 50 minutes later with the ability to identify, create, and in some cases evaluate the effect of a simile, then surely they have made progress and learning has taken place? I also don’t see why this progress can’t be both rapid and sustained. The initial learning can be rapid (see the above example re: similes) and then the consolidation and extension process can be sustained. Debaser – as I pointed out in the post, the fact that your kids know about similes during the lesson is no guarantee that they’ll still know about them next lesson. If the knowledge is not retained, what have they learned? If you want to make short term progress and cram for an exam than, yes: ‘progress’ can be rapid. But you are unlikely to remember it; therefore it is not sustained. The opposite holds true, by spacing & interleaving our teaching and introducing ‘desirable difficulties’ knowledge is more like to be retained and progress will be sustained. But it won’t be rapid.